The fact that the early Church, based in Jerusalem, strove to adhere to the teachings of Jesus Christ may seem self-evident. Also obvious, perhaps, is that the original apostles were considered an authoritative source of those teachings. But that didn’t remain the case for very long as the Church spread beyond its earliest geographical confines. 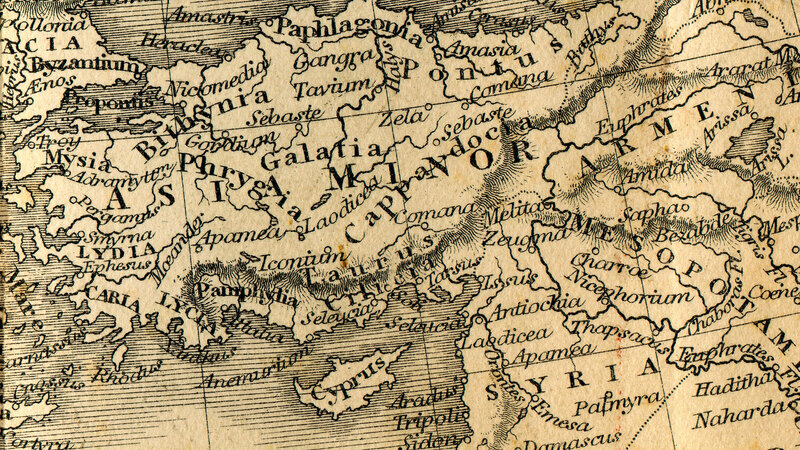 When Jerusalem fell to the Romans in 70 C.E., the Church turned its focus to Asia Minor. Not only had the apostle Paul been active in this area, his assistants there had continued to minister to the followers of Jesus. The apostle John reportedly settled in Ephesus, the principal Roman city of the area, and the Apocalypse written by him contains letters to seven of the churches in Asia Minor. This is where we find the Church leader Polycrates as the second century comes to a close. He was the successor of Polycarp, a disciple of John, and his family had been a part of the early community of believers. They had faithfully preserved the apostolic teachings from the first century. By his time, however, church groups in other parts of the world had accepted doctrines that were contrary to apostolic teachings. Around 190, Polycrates found himself under pressure from Victor, bishop of Rome, to compromise his beliefs about the New Testament Passover and to accept new practices. The new ideas would later become the basis of Easter celebrations. Polycrates faced a choice: Would he compromise on a point of truth that had been handed down from the apostle John or accept Victor’s nonbiblical teachings? A generation earlier, Polycarp and Anicetus, who was then the bishop of Rome, had discussed this same controversy. At that time each man considered the other to be of equal rank or status. When they failed to agree over the issue, each held to his own view but they remained on friendly terms. That was not to be the case this time, however: Victor’s resolve remained firm.